Welcome to a WORLD of Entertainment! Pop! Ant-Man and The Wasp – Wasp Chase Review! The Funko Pop! Marvel Ant-Man and The Wasp Series doesn’t have many figures in the main Wave, however there are two Chase figures and quite a few Exclusives to collect! Creator of Planet Nestor and Entertainment Industry professional for over 20 years! I’m A Fan of Pop Culture, Nostalgia, Theme Parks, Movies, TV, Comic Books, Animation, Cosplay, Collectibles and Art! 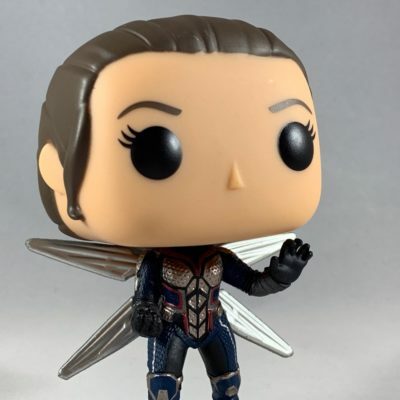 Tagged Ant-Man and The Wasp, Chase, Collectible, Collector, Figures, Funko, Marvel, Marvel Cinematic Universe, Marvel Studios, MCU, Picture Review, Review, The Wasp, Toy Photography, Toys. « Dora and the Lost City of Gold Trailer!